Harley Davidson Iron 883 prices start at Rs. 9.33 lakh (Ex-Showroom). 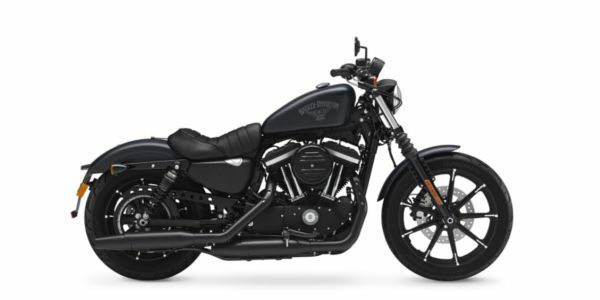 Harley Davidson Iron 883 is available in 1 variants and 5 colours. Share your experiences with Iron 883? The claimed ARAI mileage for the Harley Davidson Iron 883 petrol is 17 kmpl. The Harley-Davidson XL883 Superlow is a basic, budget way into Harley ownership. Q. There's a silver button next to the seat on the right hand side. What is that for? Q. I have heard that it requires a lot of maintenance and not sure why Iron 883 would be found on every website who are selling used motorcycles. Q. Already have Iron 883. Company is offering Harley Fat Bob by paying 4 lac more and in exchange of Iron 883 Should I go for it? Yes for sure, we think that you're getting a very good offer from the brand's side and F*t bob is also a very nice motorcycle to ride. Q. Does it suits for daily usage and long ride? The Iron 883 is a raw, stripped-down, aggressive bike that gives the rider an authentic, throwback riding experience, and at a very aggressive price point. Harley-Davidson 883 Iron : Pumping Iron!! !